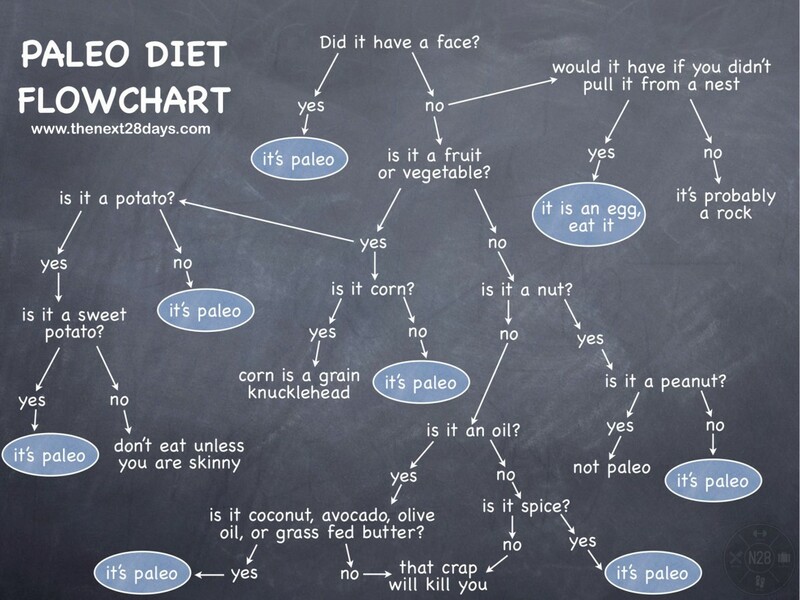 I’ve decided that my family is going to eat Paleo for 21 days. Many people at my kettlebell gym eat Paleo and I became intrigued by their food conversations. Kettlebell exercisers also tend to be Crossfit exercisers and if you go to any Crossfit website, you will see a link to Paleo eating. Who knew there was a whole gym sub-culture of Crossfit/Paleo? I sure didn’t. Independent of my gym, a few other people that I respect started suggesting Paleo eating and I kept hearing story after story about how someone’s health and emotional well-being changed after switching to a Paleo lifestyle. Then I did some research myself and found that it just might be beneficial to eat this way. In it’s most basic form, Paleo eating includes protein (meat, fish,poultry, pork, etc), vegetables (except starchy vegetables like corn and white potatoes), fruit and nuts and seeds. Dairy, legumes, sugar, soy and all grains (wheat, oat, rice, quinoa, etc) are to be avoided. 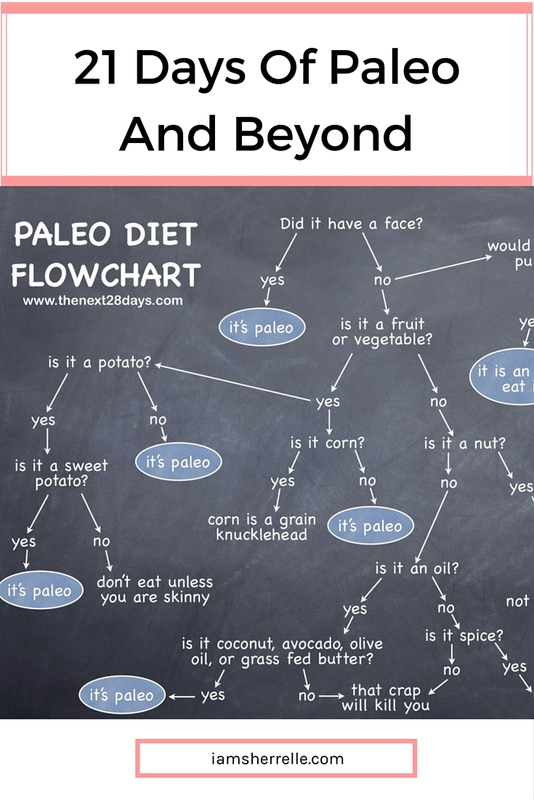 That about sums it up, but if you are interested, google “Paleo” and you will find a wealth of information. I just purchased Rob Wolf’s book, The Paleo Solution. I’m also cruising around Paleo websites and so far I’ve found 2 that I really like: Nom Nom Paleo and Everyday Paleo. I can already see that I will be using these websites for reference again and again. I’m not being being militant about salad dressing, which typically has some sugar in it, but for the most part we are just eating meat, a ton of vegetables and fruit. I threw out all the pretzels, crackers and cereal bars. I just told the kids last night that when the 21 days are over that we are still going to eat Paleo. Or more likely, Paleo-ish, like 80/20. I will cook Paleo at home and make the best Paleo choices when I eat out. I’ll let the kids eat cheese and butter in moderation. I can avoid grains, but that will be challenging for my kids. My son loves a good burger – with the bun. I hope that when they eat outside of home they will make good choices, but I won’t force them to eat Paleo. Hopefully they will figure out that their body feels better eating Paleo and will only eat non-Paleo every once in awhile. I’ll let you know how it goes! P.S. You may also like reading Exercising With Kettlebells, Cookbooks For The Whole30 and Food Fight And The Whole30 Challenge. Awesome to see you are giving Paleo a try! I think after the 21 days, occasional french fries are okay especially if you make them at home in saturated fat. Restaurant and store bought stuff is cooked in vegetable oil – the stuff best to avoid. Some of my favorite experts are Chriss Kresser and Paul Jaminte 🙂 Paleo is life long exploration really. Good luck! I’ve made sweet potato french fries at home (baked, drizzled with coconut oil) and the kids LOVED them. Before I used to buy Alexia…which I thought were “good frozen fries”, but finally read the ingredients and well, no, they are not good. I will check out Chriss and Paul; thanks! I’m still really exploring and trying to incorporate Paleo into my life fully. Oh my. I had to part ways at the no starchy vegetables. I maybe *could* do it, but I wouldn’t *want* to. I am curious, though, to hear an honest opinion at the end of your 21 days. Good luck, friend! LOL Darcie! That’s not the hard part for me (except for French Fries). It’s the sweet stuff.